This superb building consists of offices of various size split on different levels. The building also offers a massive storage space and is equipped with the latest technology and modern facilities, to offer you a professional and efficient working environment. 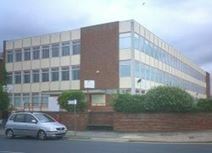 The building is located in the centre of Southport, in the vicinity of the most renowned streets of the city and close to the railway station. Located in an attractive and renowned area of Southport, surrounded by luxurious hotels, shops, bars and restaurants, this business centre offers first-class office spaces. Fully furnished and provided with a wide range of facilities and high quality support services, they offer an ideal working environment for companies and entrepreneurs. Southport is well connected by public transport, with the station offering services to a number of destinations, including Leeds.